The Victory® Sport incorporates a sporty design with extra comfort and performance features for a truly unique ride experience. With a maximum speed of 8 mph — the fastest within the Victory Series— this scooter will accelerate your active lifestyle. 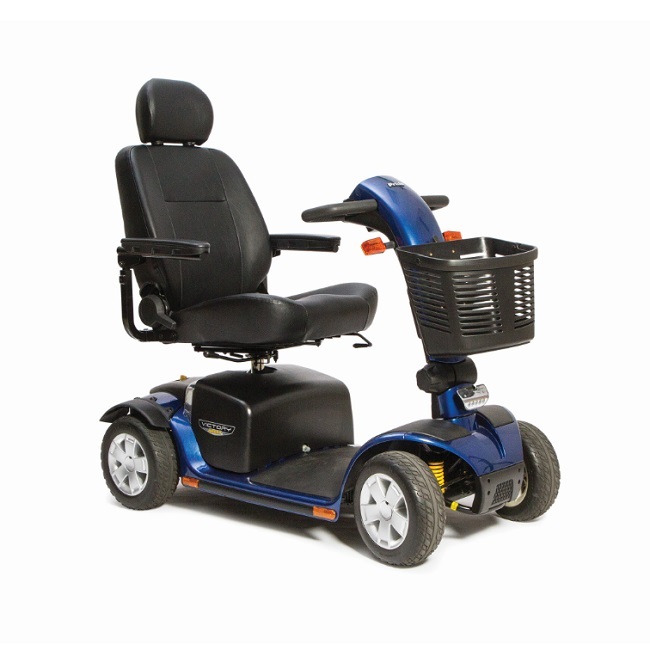 Standard features include, feather touch disassembly, wraparound delta tiller, 10” solid tires, front and rear suspension, high-back reclining seat, directional signals, a high-intensity LED lighting package, backlit battery gauge and a front basket. Available in Viper Blue and Candy Apple Red.